Congrats Mike on the awesome score bro. Keep pushing my friend. 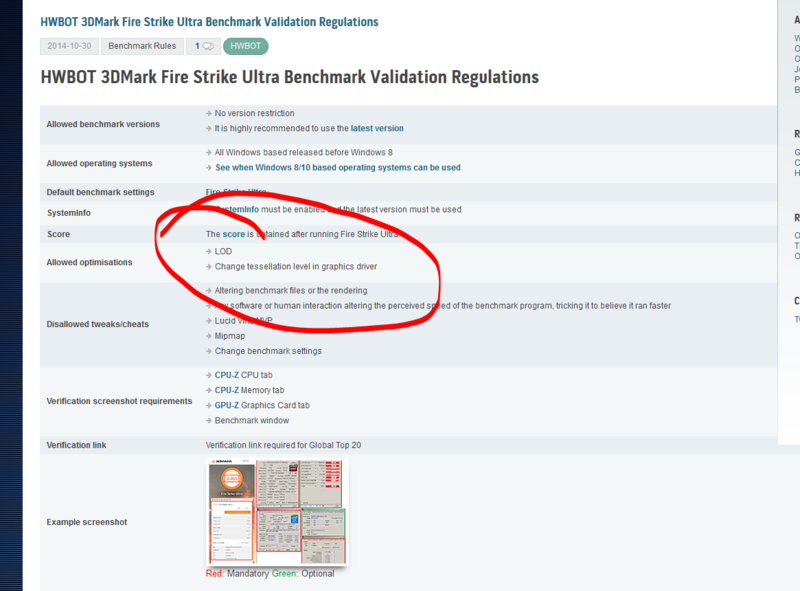 Doesn't the AA settings being changed also count as modifying the benchmark settings? Haven't really done much modern 3D so will have to check. Only changing LOD and Tessellation is allowed. Other settings not mentioned such as AA must not be altered. Go through every sub in the rankings, they all have LOD, tess and AA modified. speak for yourself. the old "if everybody was jumping off a cliff would you?" question. 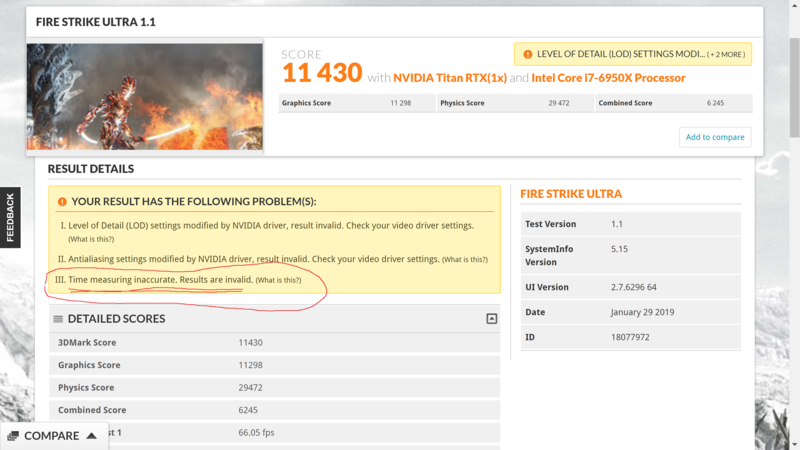 As for tessellation, if nVidia didn't resort to shady methods to make AMD hardware look worse in regards to tessellation by cosying up to game devs who then tessellated the crap out of their games to no visual benefit, well then we probably wouldn't have gotten a tessellation control in the drivers in the first place. Sorry guys but if a score is not valid because it is not moderated? You don't like it, report it to the moderator, but like I said, go through every sub with a UL link and report those as well. Why did you even bother uploading a score with timer inaccuracies. Oh, wait, I know why. It makes me so sad when people cheat in benchmarks because then it takes away from amazing feats of talent and the amazing hard work that went into submissions like this. How can you be sure anymore? There are so many rotten to core scores entrenched in HWbot. ... and what's a monitor pull tweak then super god pc clocks forward <> back tweak. Benchmark windows with apps in front of them. These were honest mistakes by using early version 1.91. 7 submissions & about 2000 points.